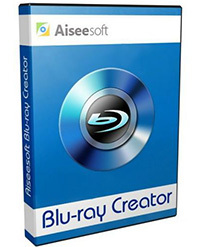 Aiseesoft Blu-ray Creator is an intuitive and efficient software solution whose main function is to help you turn regular videos into Blu-ray compatible files, that you can burn to a disc, save to a BD folder or an ISO. Aiseesoft Blu-ray Creator allows you to create Blu-ray disc out from any video you have, no matter it’s recorded by your camcorder, or downloaded from websites. All video formats, including HD videos, are supported, such as TS, M2TS, TP, TRP, MPG, MPEG, M4V, MP4, VOB, WMV, MXF etc. You are offered with two Blu-ray types, BD-25 and BD-50. After burning, the Blu-ray disc can be played on various popular Blu-ray players, such as PS3, Sony BDP-S5, Samsung BD-F, LG Electronics BP, etc. As to the editing feature, this Blu-ray Creator functions like a video converting tool before creating Blu-ray folder or file. The Clip function allows you to remove the unwanted parts or clip it to segments if the video is too long. If you make the video by yourself with unsatisfying effect, options under Effect are of great help. Problem of bothering letterbox can also be solved by the Crop function. What’s more, you get inspired by the watermark function if you are looking for a more personalized function.